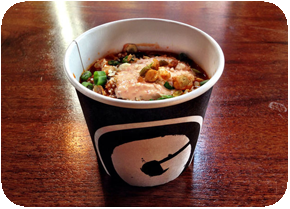 Our custom printed Food Containers are great for extending your brand beyond the front door of your restaurant. These Hi-Definition, full-color, printed containers are a great brand recognition tool for any size business. Whether your business needs disposable food containers, lunch containers, or to go containers, we have many size options to choose from. 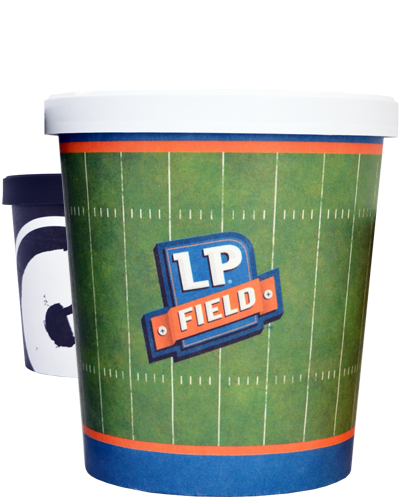 Multiple lid options, which can be custom printed as well, are available for that extra powerful branding punch. These food storage containers are great for soups, side dishes, pasta and more! Our Custom Printed Food Containers are a great way to leave a high-quality, lasting impression! How many custom printed Food Containers do I need to buy? The minimum order required for custom printed Food Containers is 1,000 pieces. Lids, and custom printed lids, are sold separately. What is the lead time for custom printed Food Containers? Standard lead time for all custom printed Food Containers is 2-3 weeks, however, rush orders are available with an additional fee. What are your food containers printing capabilities? Food Containers can be printed via full color processing with full ink coverage capabilities. These custom printed Food Containers will raise the branding bar for any size restaurant. Need a price quote on Custom Printed Food Containers? Contact us today! If you want your branded message to go home with your customers, check out our line of custom printed Take Out Boxes. Perfect for any size restaurant!